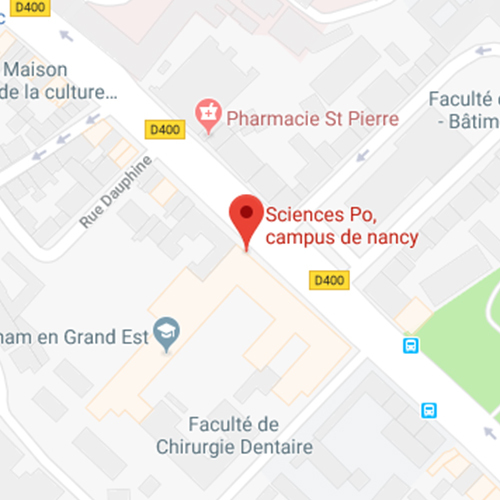 The Nancy campus was established in 2001 and features a strong European dimension. In conjunction with the multidisciplinary programme in the social sciences common to the entire Undergraduate College, students are able to study the political, economic and social aspects of the European Union from a comparative perspective between France and Germany—the engines of European integration and community building. The programme is taught mainly in French with some courses in English and German. It covers major European issues such as the creation of a European political area and an integrated economic market with the Euro currency, while deepening students’ knowledge of the French and German-speaking area, particularly through the seminar run through the Alfred Grosser Chair. Students can also learn the languages of the region such as German, English and Italian, and also Spanish, Russian, Swedish. Please download: Nancy campus calendar (PDF, 30 ko). The Nancy campus accommodates more than 300 students, over half of whom are from outside France. This cultural diversity makes the first two years on campus an international experience in itself, which is capped off with the third year outside France studying at one of Sciences Po's 470 partner universities or with a dual degree. Campus life is also kept vibrant by the vast range of clubs and associations on offer and many events throughout the year. Students are able to initiate and take part in debates, conferences, study trips, sports and cultural events, giving them a strong sense of empowerment. They are also encouraged to get involved in initiatives focused on the local community and citizen engagement. Thanks to the small class sizes, students on the Nancy campus enjoy very close attention from the faculty for both their studies and extra-curricular activities. Close to Germany and Luxembourg, and an hour and a half by high-speed train from Paris, Nancy is a city with a strong European flavour and international perspective. 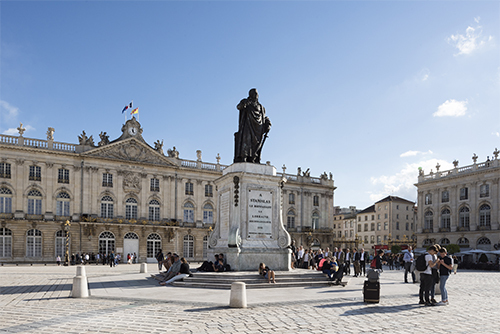 Visitors to Nancy discover a rich historical legacy, featuring the renowned architectural ensemble around the Place Stanislas—a Unesco World Heritage site—and the École de Nancy, spearhead of Art Nouveau in France. The campus itself is located in a prestigious eighteenth-century building, the Hôtel des Missions Royales. Nancy is a university town much loved by its 50,000 students. The vast range of cultural and sports facilities, combined with particularly supportive public policies for young people, make Nancy a pleasant and privileged environment to study in. The cultural calendar is rich and varied throughout the year. Students can go to the National Opera of Lorraine (fr. ), the National Ballet of Lorraine, La Manufacture National Theatre, and L'Autre Canal, Nancy's new contemporary music venue. There's also a whole range of sports activities available in Nancy, from basketball and football to horse riding or swimming, with many facilities and nearly 240 clubs and associations.